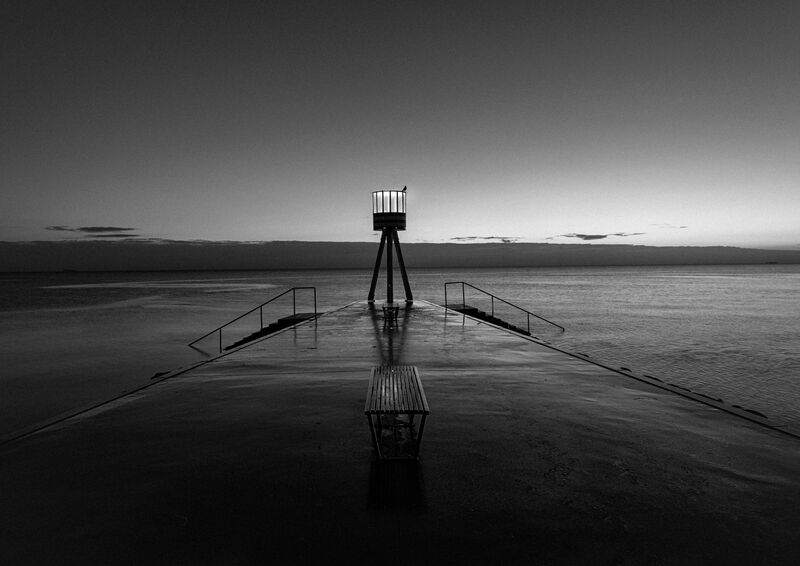 In December 2014 I went out to Bellevue beach one cold early morning with my good friend Henrik Wessmann. To see if we could get a nice sunrise. The sunrise wasn’t perfect nor terrible. But what was perfect was that just as I had framed for a photo of one the famous lifeguard towers, a bird landed on top of it. I been struggling quiet a bit with the post process of this image. But ended up liking the black and white version the best, normally I don’t make sunrise – and sunset – photos without color, but it really works on this one, because the main focus should be on the bird – not the colors of the sunrise. The bird on the lifeguard tower by Bo47 is licensed under a Creative Commons Attribution-NonCommercial-NoDerivatives 4.0 International License.